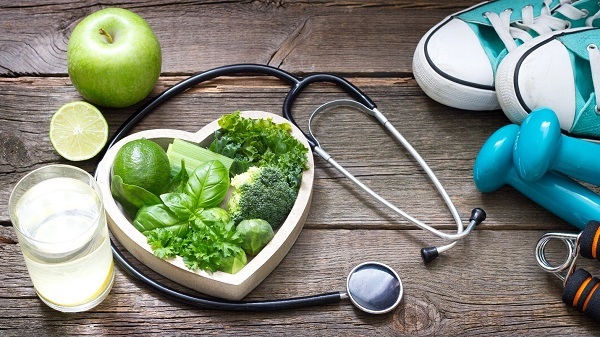 Many employees don’t participate in wellness programs simply because they don’t know enough. Companies of every size offer such programs to help employees improve their health. However, in today’s world of information overload, employees are bombarded by emails and have limited time to read communication about wellness programs. 1. Deliver wellness communication that’s employee-centric. Employees will stop reading if materials include words they don’t understand, such as HR or corporate jargon. Instead, offer simple language that you’d use in everyday conversation. Outline steps to make a process easy to follow. Employees need help understanding how rewards, reimbursements and other wellness activities work. Simple steps can relieve employees’ fear of complicated procedures. Breaking content into “chunks” will make it easier for employees to dive in and remember key points. Try using bulleted lists, callouts, tables and sidebars. Link out or lead to more information. Provide employees with enough to get them interested, but don’t give them the entire book of offerings up front. Instead, choose the most important information and link out or lead to other resources. Provide important deadlines up front. Highlight important dates so employees don’t miss taking advantage of an upcoming 5K or nutrition webinar because of forgotten deadlines. Take a cue from magazines. Most cover headlines promise to help readers solve a problem, improve something they do and, fundamentally, be happier. That’s because magazine editors know that “you” and “how to” are the most compelling words in a headline. Package your information in the way employees can use, and they will pay attention. Use visuals to make communication inviting and fun. Icons or other simple graphics can create a recognizable identity for your wellness program. Visuals also allow you to break out information into easy-to-read chunks and help employees quickly find what they’re looking for. 2. Use a mix of communication channels to reach employees. Use print pieces to deliver details and context. Print pieces like brochures and guides are still an effective way to convey content, especially when the topic is personal or employees need to take action. Create printed guides to promote a wellness challenge. Use a printed guide to introduce a wellness challenge to employees. Include details about the challenge’s purpose, rules and activities and deliver the guide to employees’ desks or homes. Use videos to illustrate how to do something. Videos are a valuable way to explain complex topics and bring ideas to life. Since employees don’t have a lot of time, the most effective videos are short (under one minute). Use a series of short videos to demonstrate wellness activities, such as stretching at your desk, exercising during lunch or meditating between meetings. Ask enthusiastic volunteers and management to be featured in the video series. Seeing leaders and peers participating in wellness activities will motivate staff to get involved, too. Use workplace channels to share reminders or at-a-glance overviews. Workplace channels like posters and digital screens are an effective way to reach employees as they walk around the office or facility. Turn workplace communications into billboard ads. Use digital screens or posters to call out aspects of your wellness program that employees are interested in or may not know much about. Be sure to stick to one topic per screen/poster. A quick overview may pique an employee’s interest in the offering and inspire him/her to sign up. 3. Create opportunities for dialogue and sharing. The best way to reach and engage employees with wellness communication is to make them part of the conversation. Empower them to speak up, and create opportunities for them to share their positive experiences with the wellness program. There’s no better advertisement than a genuinely satisfied customer. Ask real employees to share stories, in their own words, of how the wellness program helped them. This encourages your satisfied customers to step forward and address the questions and objections that fill the minds of disengaged employees. Incorporate employee quotes in communication or create a series of video testimonials featuring staffers. Nearly every phone has a camera these days, and we’ve all become comfortable snapping a photo or video and sharing it with friends. Channel employees’ inner paparazzi by inviting them to post photos or videos on the company intranet or internal social media platform like Yammer. For example, run a contest for “Best selfie or 30-second video showing how I used the wellness program to get fit.” Incorporate a catchy hashtag with the contest, such as #HealthySelfie. Soon the wellness program will be trending. Get time on a town hall agenda to take questions about the wellness program from the audience. Or schedule “office hours” where employees can stop by and chat with an HR representative about the wellness program’s tools, activities and incentives. Use these moments to educate employees and reinforce the value of the wellness programs.